Want to SEE What Camp is Like in Michigan? 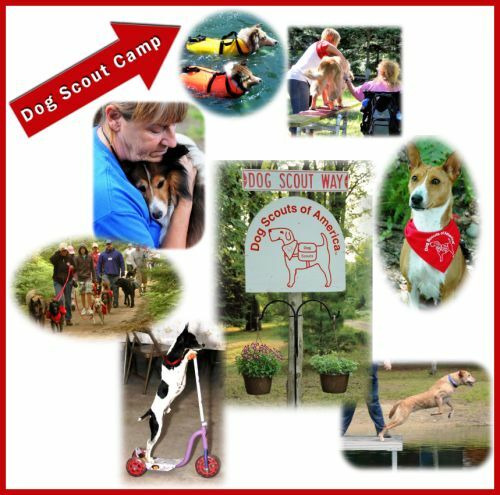 Dog Scout Camps are held in June and July each year. 17-22 June 2019 – Register Online Here! 15-20 July 2019 – Register Online Here! Cost: $750 for first camper, $400 for additional family members – camp fee includes meals and all camp activities (from 9am-9pm) each day. To make payments toward an existing camp registration (AFTER you have submitted a registration form), CLICK HERE. Lodging and Badges are extra. First dog is Free – additional dogs per family are $50 each. If you are interested in attending the Michigan 6-day camp, it is important that you read all about it first, so that you understand what it entails. Packet Guide – READ ME FIRST! To make payments toward your camp balance AFTER you have submitted a registration form, CLICK HERE. Camp Packing List – ideas to help you remember everything!